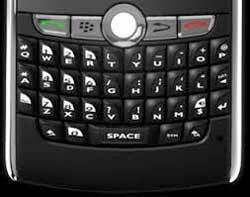 The struggling Canadian phone manufacturer said that Typo's US$99 keyboard, which attaches a Blackberry-like physical keyboard to an iPhone 5, copied BlackBerry's keyboard. "This is a blatant infringement against BlackBerry's iconic keyboard and we will vigorously protect our intellectual property rights against any company that attempts to copy our design," said Blackberry's chief legal officer Steve Zipperstein. "We are flattered by the desire to graft our keyboard onto other smartphones, but we will not tolerate such activity without fair compensation for using our intellectual property and our technological innovations," he said in a statement. Typo was created by media entrepreneur Laurence Hallier and show-biz personality Ryan Seacrest, together with inventor-designers Ryan Hyde and Jonathan Goodrich. The company's website said it is taking pre-orders for the Typo keyboard case, with the products to be shipped this month. Blackberry is seeking to turn around its fortunes after losing its leadership position in the cellphone and smartphone business years ago. In December the company reported a huge US$4.4bn loss for the third quarter, four times the previous quarter's loss, as its smartphone sales slumped by half. The company said last month that Taiwan-based Hon Hai/Foxconn, whose China factories produce products for Apple, will develop and manufacture a number of new devices for the company and help manage inventory for Blackberry.